As an extremely popular Augmented Reality game which called the most sensational mobile video game of 2016, Pokemon Go will launched in India. Niantic have announced their partnership with Reliance Jio Infocomm! It means now Reliance Jio Infocomm become an official partner of Pokemon Go in India. "It's exciting to see Pokemon fans in India step out and explore their neighbourhoods in search of Pokemon and Jio’s disruptive high speed 4G LTE Network will be an excellent way to experience the game." said John Hanke, the Chief Executive Officer and founder of Niantic. According to a masterstroke by Reliance, the partnership will also result in thousands of Reliance Digital Stores and their select partners in the country to become Pokemon Gyms or PokeStops. There will be nearly 3,000 PokeStops and Gyms in Jio stores and partner locations where trainers can visit to collect items and to battle over. What's more, SIM customers of Jio will be able to download and play Pokemon Go with no cost of data charges during their "Happy New Year" offer. As users of Jio, players will get an exclusive Pokemon Go channel on Reliance Jio's messaging app, JioChat. "The Pokemon Go Channel will enable Pokemon Go players to collaborate and be part of an exciting community of players with daily tips, contests, clues, and special events," Reliance Jio said in its release. The Pokemon Go Channel on JioChat will aim to help gamers to socialise with other players and level-up faster. "With over 500 million downloads globally, we are excited to launch Pokemon GO officially in India on the Reliance Jio network," said Mathew Oommen, President Reliance Jio. 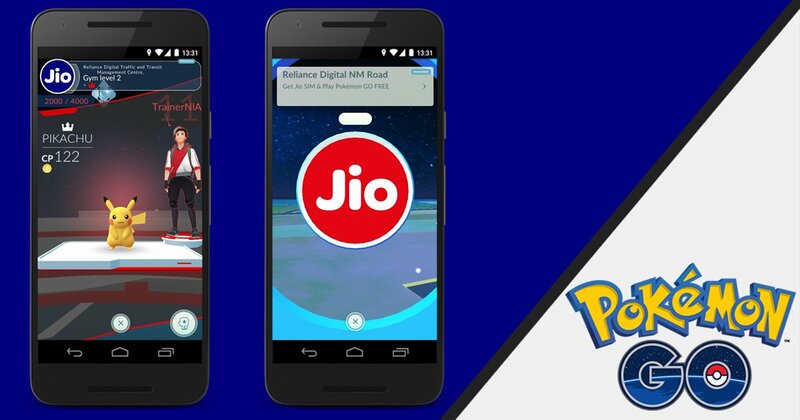 "Our partnership with Niantic not only brings access to the Pokemon GO app but also opens the door to more opportunities for our customers to enjoy content on Jio's one-of-a-kind mobile broadband network." The telecom operator state that the game will be available to download via Google Play and the App Store from Wednesday in India.